Savefrom.net is one of the most widely used online video downloaders that allows downloading from various video sharing sites. Some of the popular names include YouTube, Vimeo, Dailymotion, Break and others. In addition to these sites, SaveFrom also allows downloading from social media platform including Facebook. The process at the site is quite simple, you need to paste the URL of the video in the downloading bar at the site and then select the desired format and resolution. No matter which ever web browser you are working with, SaveFrom will work pretty well with the same. As there is a flip side to every coin, SaveFrom is no exception. Though SaveFrom supports decent list of video sharing sites, but for movie and video buffs, the number may not be sufficient. There are many other sites like SaveFrom which supports much more sites and platform. Moreover, SaveFrom allows downloading in limiting formats including MP4, 3GP, WebM and Audio MP4. For the users who want their videos to be available in different formats, other program like Savefrom.net needs to be searched. Slow download speed can further add to the list of reasons to look for SaveFrom alternatives. The details about other Sites like Savefrom.net are given below. There is no second opinion about the fact that online sites, tools and downloaders are a great way to download streaming videos from various sites. If you need to download a few videos occasionally, then these online downloaders are apt, but if your download requirements are large and need some advance functions, then desktop software like iTube Studio is the answer. In simple terms , iTube Studio can be considered as a program like SaveFrom.net but with more additional features and functions. The number of sites supported by majority of these sites is limited to 50, 60 or a little more. The download formats supported by the sites are limited. Majority of these sites does not support batch downloading with the option to download entire playlist and channel. There is no built-in player provided through these sites. Facility to convert the downloaded files to other formats is not present in majority of the online sites. High quality HD video download with 4K support is not provided by these sites. Download multiple videos simultaneously is not allowed. Thus to overcome the above limitations, using desktop software is a must, and iTube Studio is the best in its category. This professional software supports downloading from more than 10,000 sites including YouTube, Facebook, VEVO, Vimeo, Soundcloud, BBC, Yahoo, MTV, Dailymotion, Break, BlipTV and others. The software supports batch downloading with the option to download entire Youtube playlist and channel in a single click. iTube Studio also has an option to record online video and music that is played on your system. Some other striking features of the software are mentioned below. Allows merging of HD Audio and video files automatically. 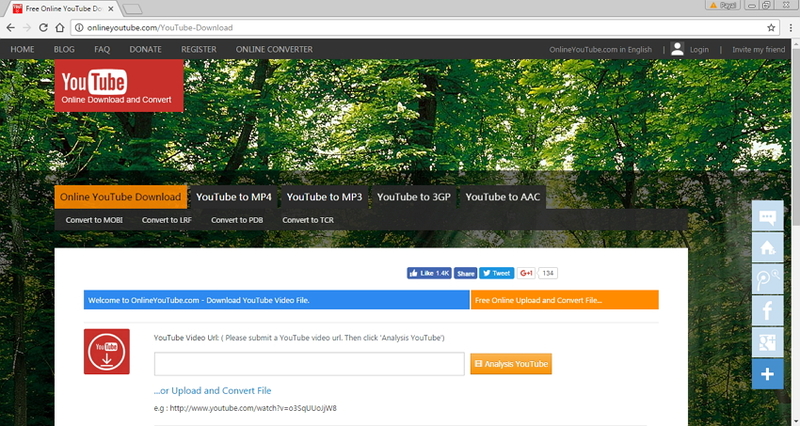 Allows downloading audio from video files and support multiple formats including MP3, AC3, WAV, OGG, APE, FLAC, MRB and others. Downloaded files can be converted to over 150 different formats including MP4, MPG, MKV, M4V, MOV, ASF, AVI and others. Local video files can be imported and converted to other formats. Available for both Windows and Mac system. To make you have more choices, we have Listed the top 20 SaveFrom alternatives which are also free and easy to use. This is another program like SaveFrom that allows downloading videos from sites like YouTube, Dailymotion, Vimeo, Soundcloud, Facebook, Twitter and others. This free video download site works well with all web browsers, and for the process to initiate you simply to enter the video URL at the downloading bar at the site. The site also supports to download from adult sites, but they are hidden from the home page. The formats supported by the site include MP4, M4A, 3GP, WebM and the users can even select the desired resolution and quality of the downloaded video. 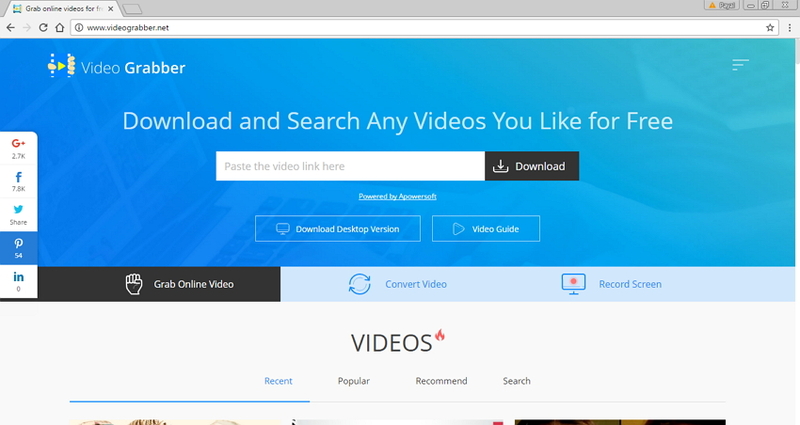 Another popular site for downloading your favourite videos is VideoGrabber that supports many sites including Facebook, Vimeo, YouTube and others. In addition to downloading videos in different formats, the site facilitates recording as well. The videos can also be converted to other needed formats. The home page of VideoGrabber also suggests videos in recent, popular and recommended category. A search tab to look for your favourite videos is also provided at the site. Multiple files at a time can be downloaded using the site and it is available for free only for a trial period after which you need to purchase it. Among the many sites like SaveFrom, Clipconverter is one of the popular ones that supports an array of sites including YouTube, Vimeo and others. In addition to downloading videos, the site also facilitates recording as well as converting videos to other popular formats. Clipconverter also allows downloading HD video including 4K. Using the site, you can select the desired video or audio format in which you want the downloaded files. The common supported formats include MP3, M4A, AAC, MP4, 3GP, AVI and MOV. The site also has its desktop version for Windows and Mac and extension add-on for different browsers. A local file can also be uploaded on the site and converted to formats supported by other devices. 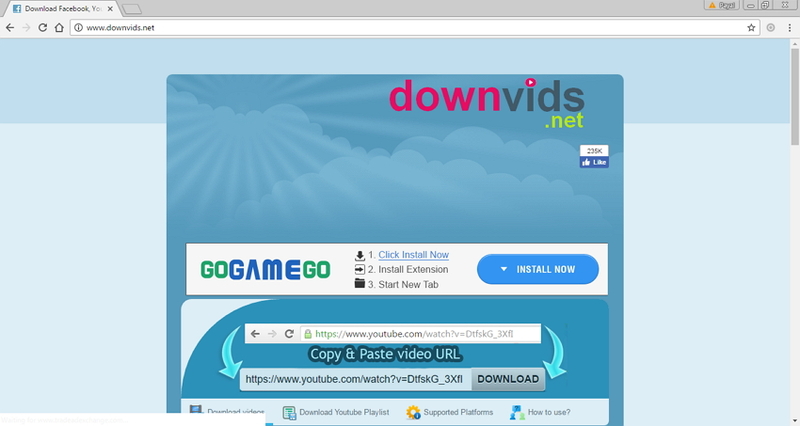 DownVids is an online downloader that allows downloading videos from YouTube, Facebook, Vimeo and Instagram. In addition to individual videos, the site also supports downloading entire YouTube playlist. The videos at the site can be downloaded in video format with the option to select video quality from default, 480p, 720p and 1080p. 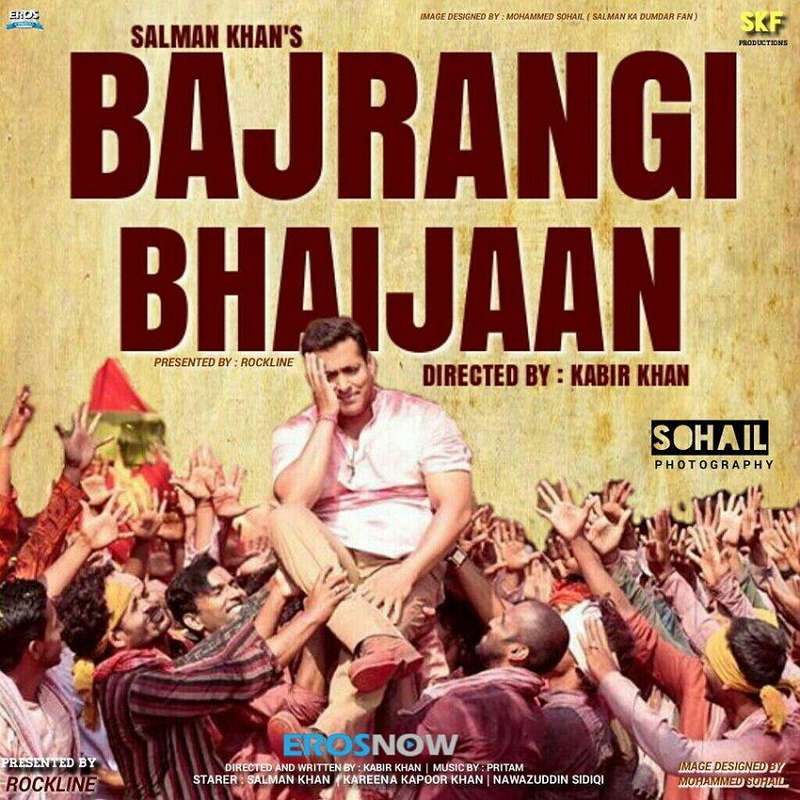 MP3 audio file can also be downloaded using the site. Another program like SaveFrom.net is CatchVideo which works like multi-functional video downloader, and supports a list of popular sites like YouTube, SoundCloud, Dailymotion, Twitter, Vimeo, Veoh and others. The site can be accessed from any web browser, and in addition to video download, it also supports getting audio from the video links. The supported formats by the site include MP4, M4A, WebM, FLV and 3GP. The site allows downloading videos in desired quality including 360p, 480p, 720p, 1080p and 4k. Here you need to keep in mind that prints of video quality will be only available if these qualities are supported by the sites from where the video links are taken. 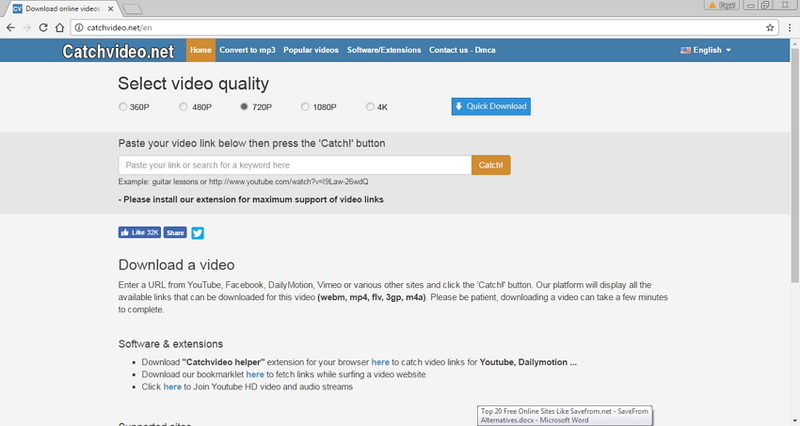 At CatchVideo, you need to paste the link of the desired video, select quality and click on Catch to initiate the process. VideoGrabby is a simple and quick way to download videos without downloading or installing any software. 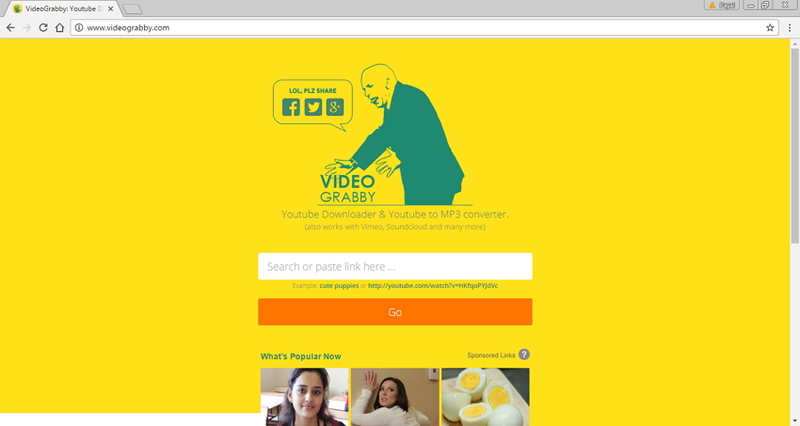 At VideoGrabby, you need to paste the link of the video at the site and then select from option of recording video in MP4 format or recording audio in MP3. The site works well with popular video sharing sites including YouTube, Soundcloud, Vimeo and others. The site has simple to use interface and is perfect for those who does not want too many options for formats, quality and sites. If using extensions and software is not your choice for video download purpose, then SaveMedia online downloader will act as a perfect choice. Being one of the sites like SaveFrom, SaveMedia allows downloading your favorite videos from various streaming and sharing sites. The site features an address bar where you can either paste the video link or even search for the desired videos for downloading purpose. The site supports multiple formats including MP4, WebM, 3GPP, MP3 and M4A and allows download up to HD resolution. The site provides free and unlimited downloads and conversion and is compatible of working with mobile phones as well. Downloading videos from YouTube, Facebook, Dailymotion, Vimeo, Metacafe and other such sites is made easy using Deturl. At this online video downloader, you need to paste the link of the video, select desired format and click Download video option. 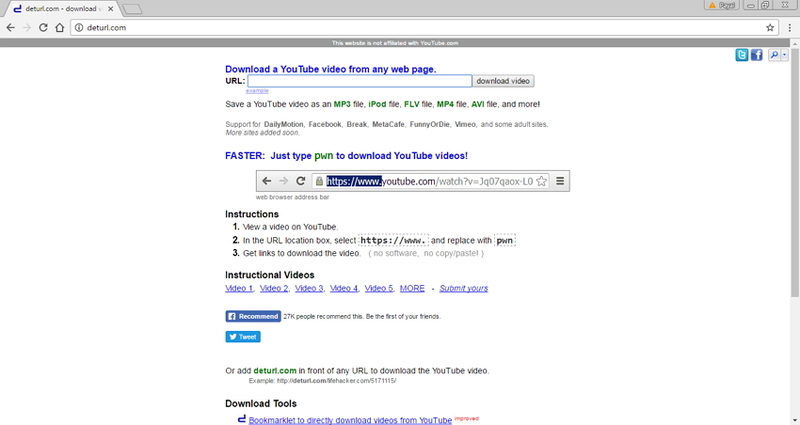 Deturl offers another quick way of YouTube videos download, under which you simply need to open the desired YouTube video and then replace the “ https://www.” in the link with “pwn” in the browser. The YouTube page will be automatically directed to Deturl download page. The site allows downloading in MP4 , FLV and AVI format for video files and MP3 format for audio files. Among the list of sites like Savefrom.net, YouTubeMultidownloader is a decent option that allows getting good quality downloaded videos from like YouTube. While working at this site, you need to paste the URL of the video at the Link bar and then click Download. The site will provide options to select desired format as well as quality for the video download. 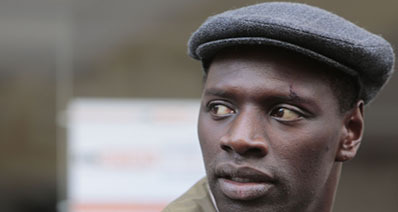 The formats supported by the site include 3GP, MP4, WebM and M4A. The site allows downloading the subtitle and facilitates downloading entire YouTube playlist and channel. Another easy and quick way of downloading videos from this site is by simply opening the YouTube video in the browser and then add “1s” after “youtube”. 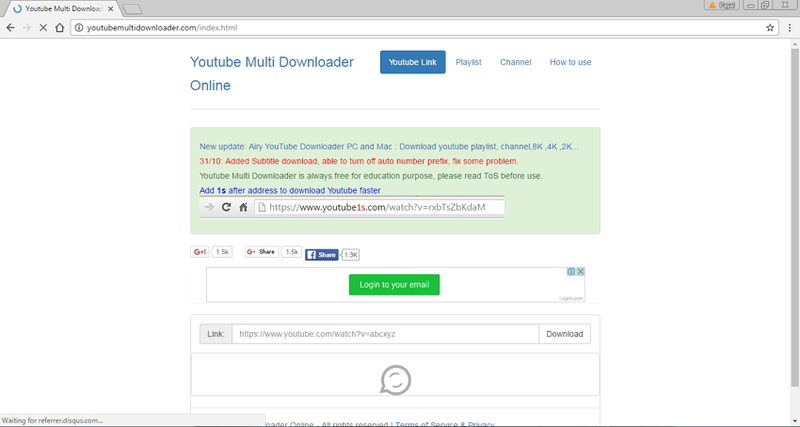 The YouTube video page will directly move to YouTubeMultidownloader download site. It is a universal media converter that is easy , simple and free to use. The site supports an array of sites including some big names like Youtube, Facebook, Dailymotion and others. 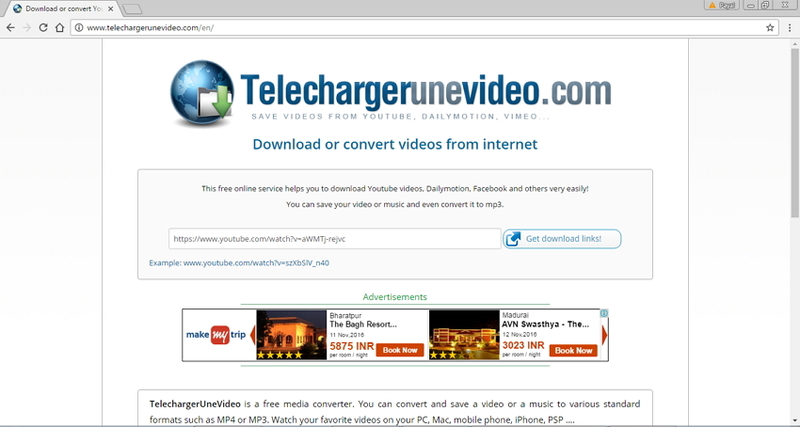 At Telechargerunevideo, you need to enter the URL of the video that you want to download or convert and then click on Get download links option. The available format options offered by the site include MP4, WebM, 3GP and MP3 and it supports high quality HD download up to 1080p. 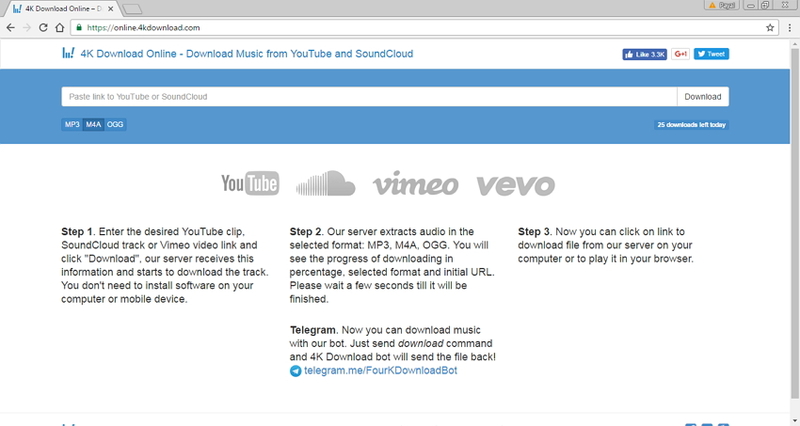 Downloading from social media platforms is also supported by this online downloader. 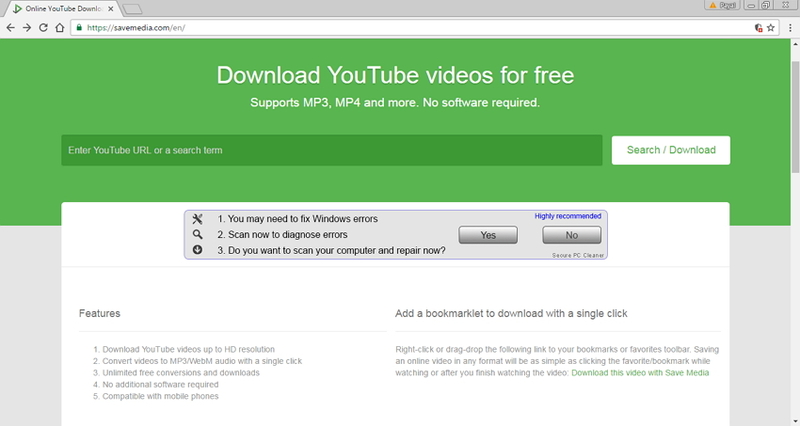 OnlineYouTube.com is an online downloader and converter that facilitates YouTube video download and can convert the files in other formats including MP4, MP3, WMV and AVI. The site is platform independent and can work on Windows, Mac, Linux and also on iPhone. The download and the conversion at the site are performed at good speed and quality with bit rate of at least 128kBit/s. The converted file can be downloaded from the site. 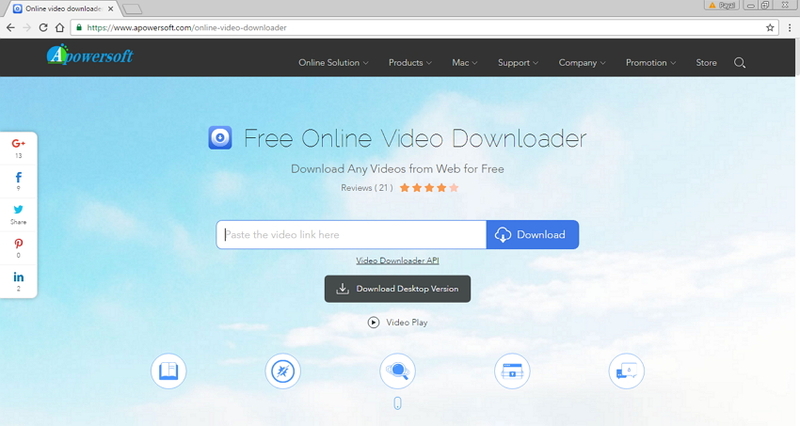 One of the popular names in the list of online video downloader is Free Online Video Downloader from Apowersoft. The tool is compatible of working with all web browsers as well platform. 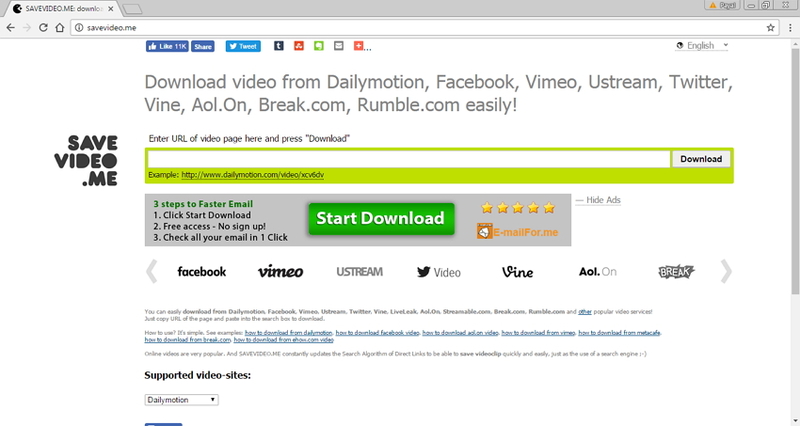 In addition to YouTube, other popular sites supported by this video downloader include Dailymotion, Vimeo, Metacafe, Break, Lynda. 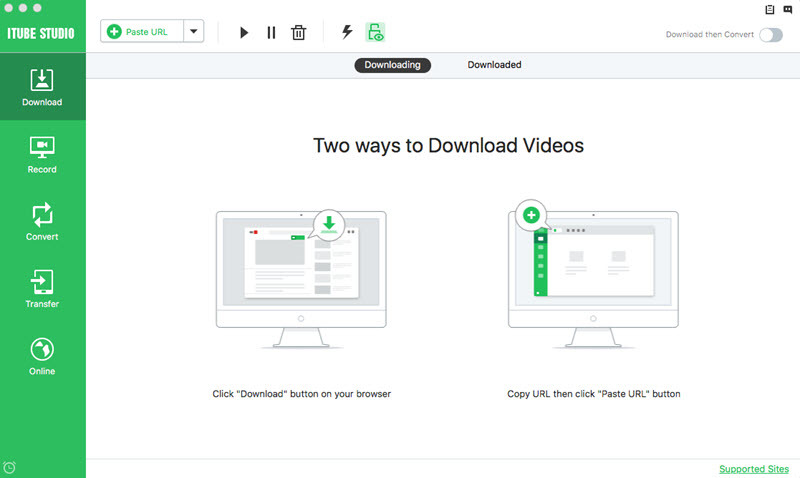 The downloader features a search function where you can find interesting videos and can also watch and download real time videos. The most widely video formats for downloading are supported by this site including MP4, MP3, 3GP, FLV, WMV, WebM, MOV and others. HD quality video download is also supported by this Apowersoft tool which is safe, reliable and free to use. For the first time use, a launcher needs to be downloaded after which the process of video download can be started. 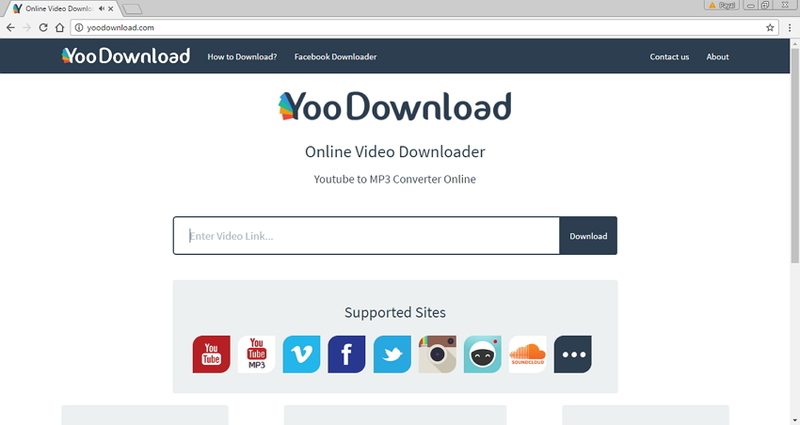 YooDownload is a quick and easy online downloader that does not feature any java or third party plug-in . The list of sites supported by this downloader include some top names like YouTube, Twitter, Instagram, SoundCloud music, Facebook, Vimeo and others. 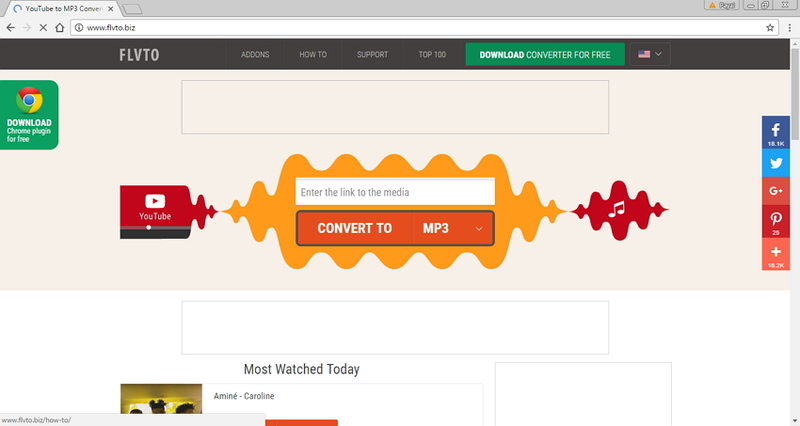 YooDownload also allows downloading MP3 audio files from YouTube and Soundcloud videos. The site only allows converting to MP3 files for the videos that are no longer than 7 minutes. The site supports MP4 videos download in HD quality up to 720p. This online video converter supports downloading from around 1986 streaming sites, and can even convert the files to other popular formats. The download process using this tool does not require any registration, software installation and other hassles. You simply need to enter the link of the video, select the download format and the process is done within no time. The supported video and audio formats by the tool are MP4, AVI , FLV ( video), MP3, FLAC and OGG (audio). Complete playlist download is also facilitated by the downloader and you even have the option to download single files or all of them in a zip file. Some selected items from the playlist can also be downloaded using the tool. 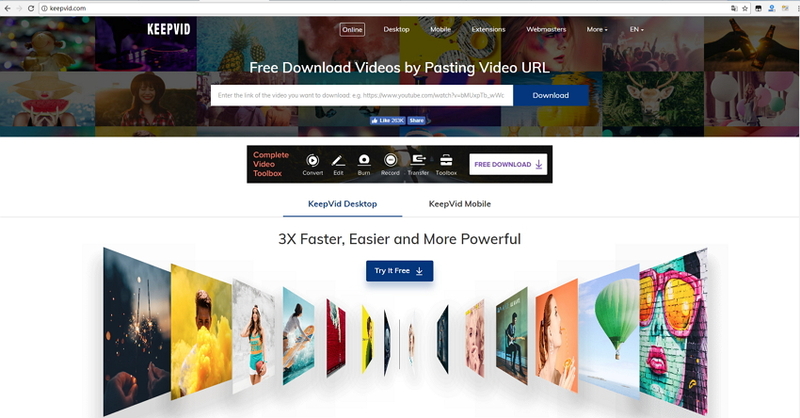 KeepVid.com is a free web application that allows video download from 28 sites and social media platform. Downloading from YouTube, Vimeo, Facebook, Dailymotion, Twitch.TV and other similar sites is quick and easy using Keepvid.com. The site allows downloading videos in multiple formats including MP4, M4A, 3GP, WebM and MP3. The quality of the downloaded video can also be selected at the site and it supports 1080p/720p download. 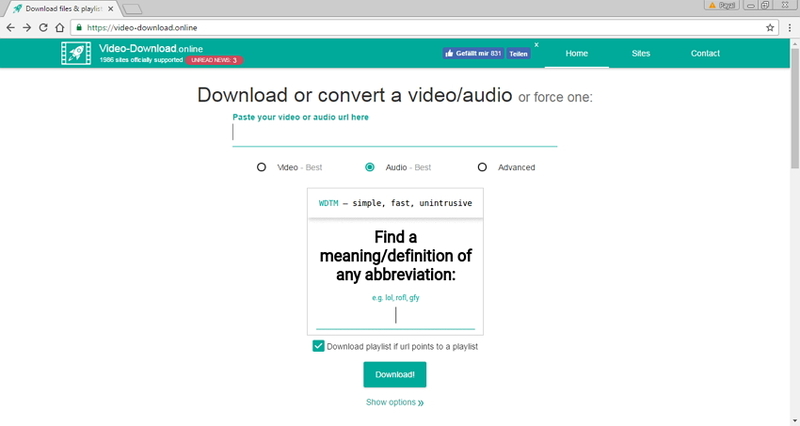 KeepVid.com also allows downloading only the audio version of the video. 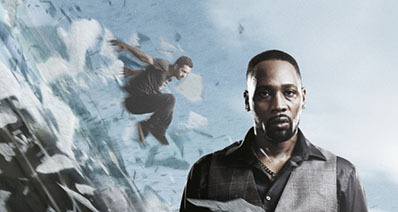 Subtitle download is also facilitated by the site. Thus KeepVid.com can be considered as the best alternative and program like Savefrom.net that offers complete video download solution. A popular name when we talk about sites like SaveFrom is FLVTO that allows downloading videos from YouTube, Vimeo, Metacafe, Facebook and other video hosting sites. The online tool allows to download and convert the videos in different formats including MP3, MP4, MP4 HD, AVI and AVI HD. Plug-in browser of the downloader for different browsers are also available. The downloader is platform independent and can work with Windows, Mac as well as Linux system. The downloading and converting process is quick and simple where you need to paste the URL of the video and select the desired format to initiate the process. The home page of the site also has a list of the most watched videos of the day with Download option. The site helps downloading videos from an array of sites including popular names like Facebook, Vimeo, AOL, Dailymotion, Twitter, Vine, Flickr and others. You need to place the video URL at the search box present at the site and then click Download for the process to start. The site supports MP4 video download in different resolution and quality including full HD 1080p. You can directly save the download link of the video at the desired location at PC. The site is perfect for the users who are looking for simple download option without any additional features. Another option to download videos without any hassles of using software or accelerator is 4K Download online. The site has clean and simple interface and supports downloading from YouTube, Vevo , Vimeo and Soundcloud in MP3, M4A and OGG format. Paste the video URL at the address bar of the site, select from available download formats and click Download. Once the process is completed, the file from server can be downloaded to local PC by clicking the link provided. Videos at the site are downloaded without any quality loss. This is an online tool that allows saving videos as well as audio from various streaming sites. The tool is compatible of working with computer as well as smartphone without any plug-ins or installation. TubeNinja supports more than 80 sites including YouTube, Facebook, Soundcloud, Instagram, Tumblr, Sohu, Bandcamp and others. Download from adult sites is also supported through this online downloader. Besides supported sites, TubeNinja also supports the links to the pages that are not supported. 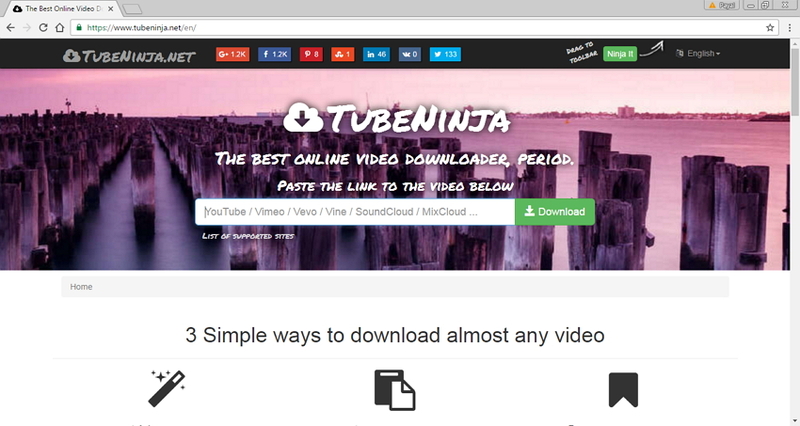 In addition to the common video/audio URL copy-paste method, the downloader also work through DL trick where you simply need to add “dl” before the site name in the URL and the page will be automatically directed to TubeNinja download page. Another option to download video and audio using this tool is through bookmarklet. The site supports downloading in MP3, MP4 and 3GP format with different resolution quality. It is a simple online tool with clean and easy to use interface. The downloader supports an array of streaming sites and social media platform. The popular names include YouTube, Vimeo, Facebook, MySpace, OK, Instagram, Twitter, Dailymotion and others. Like majority of the other similar sites, you need to enter the video URL at GetVideo.at and select the desired format and the quality for the process to complete. The common download formats supported by this downloader include MP4, WebM, 3GP, M4A. To Make you to deeply understand the differences between iTube Studio and online sites like Savefrom.net, we have listed the comparison among the above mentioned top 5 online sites, Savefrom.net and iTube Studio. Then, you can make the correct choice by your needs. More than 10,000 including YouTube, Vimeo, Vevo, Facebook, Dailymotion and others. Around 20+ sites, including Facebook, Twitter , YouTube Vimeo and adult sites. Batch downloading, support 10,000 sites with all major formats and high resolution quality; record videos easily; download speed is 3 times faster than others. Compatible with all web browsers, available as browser extension, placing ss in YouTube link automatically directs it to download page. Allows to download multiple files at a time, facilitates video recording. recording and converting videos, can upload local files for conversion. Allows downloading from Instragram, entire YouTube playlist can be downloaded, compatible with all web browsers. The free trial version has limited options and to enjoy the complete features , software needs to be purchased. Limited format support, slow download speed, no conversion of file format. Support limited formats and sites. Limited free version after which you need to purchase it. As compared to other sites, the number of supported sites are less. Limited supported formats for download, only a few supported sites as compared to other sites. Thus it can be concluded that iTube Studio is the best alternative to Savefrom.net, but still if you are in search for an online site, there are many programs like SaveFrom.net from which you can select.